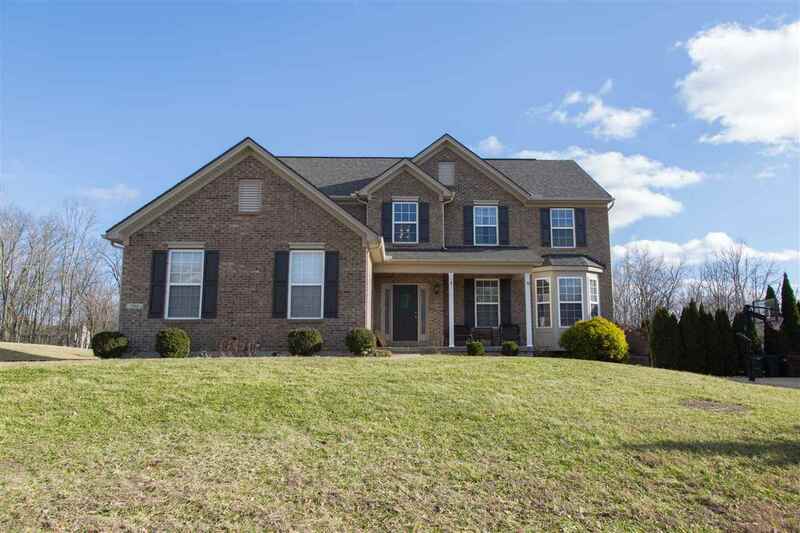 Gorgeous Brick wrapped 4 BR 2 story with 3 car side entry garage and 2nd floor laundry. This property sits on .76 acre flat back yard with wood line in the rear. Beautiful hardwood floor on first floor, gourmet kitchen with stainless steel appliances, gas range, granite counter tops, tile back splash, kitchen island. Huge master BR, bright open breakfast room, covered front porch, french doors, open foyer, large driveway, large patio and huge unfinished basement with rough in. Swimming pool community. Laundry Rm Dim: 10&apos; X 6"